Coolidge was renominated on the first ballot of the Republican Convention, in Cleveland. This convention was the first convention to be broadcast on radio. Coolidge's opponent was John Davis, of West Virginia. Davis was a compromise candidate. He was selected after the Democratic convention in New York was dead-locked for over 100 ballots. Robert LaFollete, of Wisconsin, ran as a candidate of the Progressive party. The Republican's most successful campaign slogan was "Keep Cool With Coolidge". Coolidge did very little campaigning. The death of his son further curtailed his activities. Davis campaigned vigorously, attacking the inactivity of Coolidge. 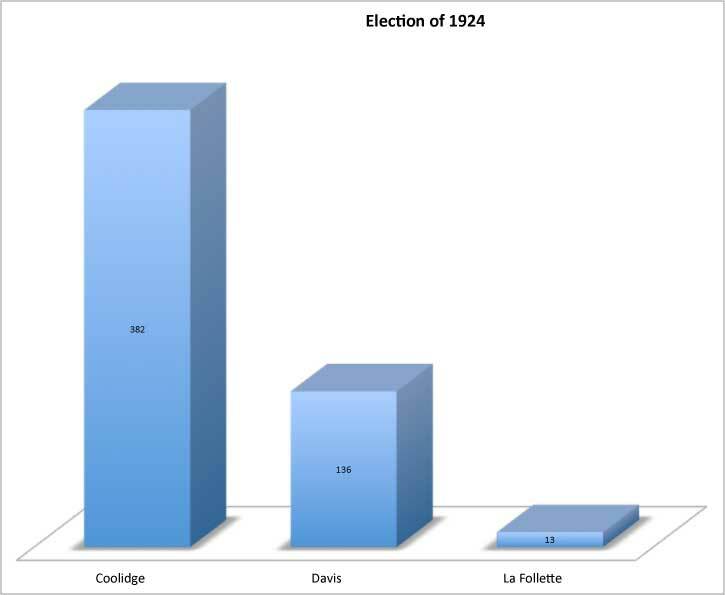 LaFollette also campaigned vigorously, promoting the Progressive platform, that called for far-reaching reforms. The discovery of the criminal actions of members of Warren Harding’s administration did not affect Coolidge's support. 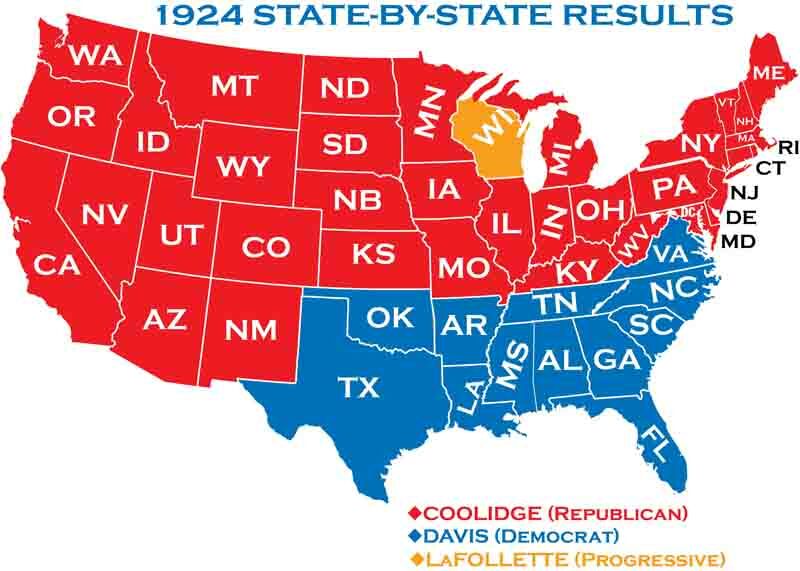 Opposition to Coolidge was divided between Democrats and the Progressives. 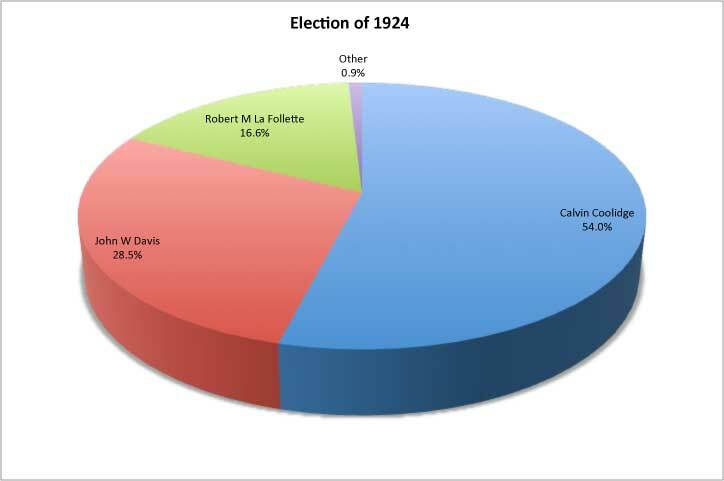 With America enjoying prosperity, Calvin Coolidge went on to enjoy an overwhelming election victory.